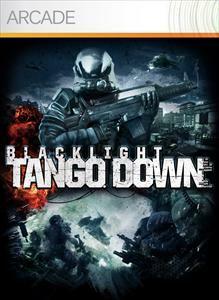 This week's deal for Xbox Live is Blacklight: Tango down. Gold Members can pick up the game for 50% off at 600 MSP ($7.50). It's a pretty fun game so I would definitely recommended checking out the trial.
" Fight tomorrow’s conflicts with or against your friends in the gritty Blacklight universe. Make your stand across seven game modes with 12 different maps in intense online battles supporting up to 16 players. Or fight through four intense Black Ops missions co-operatively or alone; all the while gaining experience, collecting stats, and unlocking items. Earn new weapon attachments and items, improve your abilities, and engage your Hyper Reality Visor to locate enemies and take them out. Customize your character and weaponry from among millions of combinations to become the soldier you always wanted to be."